The American Legion Post 25 in conjunction with the Washington Shrine Club hosted a free meal for veterans on Monday evening at the post. Veterans from all over the county — and some from outside the county — joined for the evening event. 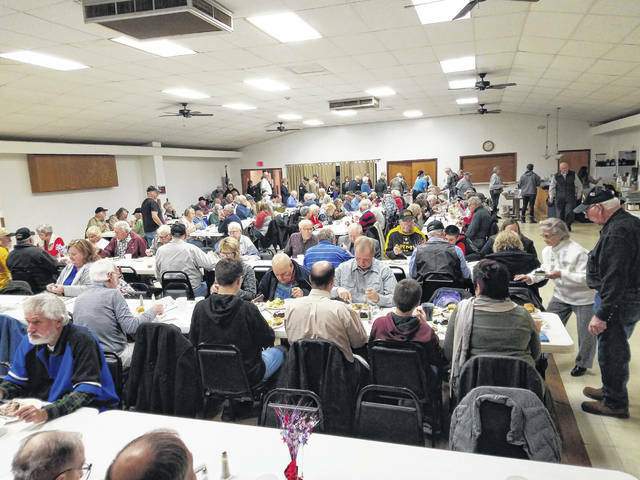 https://www.recordherald.com/wp-content/uploads/sites/27/2018/11/web1_20181112_181014.jpgThe American Legion Post 25 in conjunction with the Washington Shrine Club hosted a free meal for veterans on Monday evening at the post. Veterans from all over the county — and some from outside the county — joined for the evening event.